It is better to avoid misfueling rather than paying thousand for repairs. What is misfueling? It is when drivers put petrol in a diesel car or diesel in petrol vehicle. This is one of the worst situations you could ever face in your driving career. 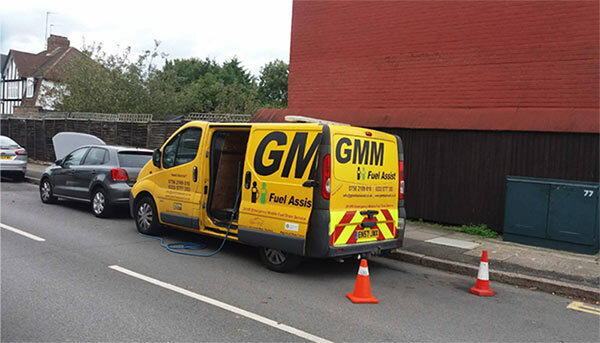 In the UK, it is one of the most common things and there are many businesses working as wrong fuel fix and wrong fuel assist services. 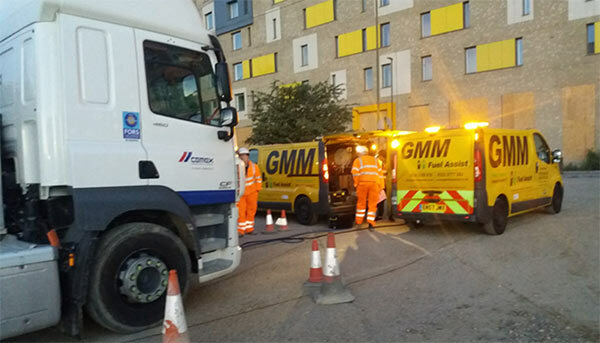 GMM1 Wrong Fuel Assist is also one of those several service providers in London who does offer these services. Talking to them, their chief engineer says that there every minute in the UK, there are four drivers who make this error and put the wrong fuel into their vehicles. This is one of the big issues these days because diesel cars are more popular than the petrol cars because automakers are using modern diesel engines in their high tech vehicles. These engines have more refined fuel economies and performance as compare to old-school petrol or diesel engines. Misfueling is not avoidable by large and even the UK police department commit these errors. This way these drivers are forking out thousands of pounds every year in repairing the vehicles. All these repair bills are going from your pocket as a taxpayer to the government. But it is an obvious mistake and that should not happen repeatedly. There are a number of reasons why people got trapped in misfuelling, and there are also a number of ways to avoid this happening again and again. Some of the most first-hand tips to avoid Misfueling are as followed. If you are driving a car and you just bought it, you must know your vehicle and the engine it is using. You must know whether it has a diesel or petrol engine. This knowledge would make your selection of fuel easy at the fuel station. If you are using a car from Car Rental Company and you are not clear about the vehicle engine, you must ask them about the engine first at the time when you are planning to sign the contract with them. Aside from you, everyone else must know about the fuel type of your car because if you are about to make a mistake at the fuel station and they are with you, they might remind you about the wrong fuel you are selecting. Always use one or even two fuel stations in your area and do not try a new fuel station every day. This practice will make you comfortable using that particular fuel station because you would know that what fuel nozzles and machines are for diesel and which machine and nozzle are for petrol. It is noticed that majority of Misfueling cases occur at the fuel stations where the drivers were using them for the first time or the fuel stations were new to them. They were unaware of the fuel station settings and got confused at the station and put the wrong fuel in their car. There are rare cases when people put the wrong fuel in vehicles at their native fuel stations where they are actually using them frequently and know the point from where they will get the right fuel. It is one of the best practices to remember the type of fuel your vehicle needs, you should paste a sticker on your vehicle’s fuel tank cover. Is will remind you to select the correct fuel in case you forget at the time of refiling. Misfueling happens usually when you occupied with many things at the same time, e.g. using mobile, talking your friends with you, and it slips your mind from focusing on the work you are about to do. This situation leads you to do misfuelling. It is almost same across the UK, colour codes at the fuel stations differentiate the fuel type where the green colour code is for unleaded petrol and similarly Black used for diesel fuel. Actual name sticker is also placed on the nozzle and the fuel pumping machine to further remove the confusion. This is not necessarily the same in all countries. Usually, green pumps are for unleaded, while black pumps are for diesel. The actual name of the fuel is also placed next to the pump to avoid confusion. Just in case if the sign is not readable or faded, you will at least know what fuel you are putting into your vehicle, either it is diesel or petrol if you know the colour codes. It is possible that you were engaged in some other things while you have filled your fuel tank and even you have all knowledge, you still put the wrong fuel in your vehicle by mistake and doesn’t even have a clue that you have made the mistake. Your receipt for the fuel is still left to pay, you must check your receipt to see what fuel you have bought. After making confirmation of the fuel type, you should start your vehicle engine. This will further save you from being hoodwinked. As soon as you noticed that your receipt has wrong fuel type on it, do not start the engine of your vehicle and be at the station. If they have the right tool to resolve the issue, ask them for help otherwise ask them to call wrong fuel assist services. It is better to call the services at the fuel station rather than the mile down the road. If you put petrol in a diesel car, it is possible that the dilution might happen, but it doesn’t happen in all cases, there are several vehicles where you can see this thing happening. If you have put a pint of petrol in empty tank of a diesel car, fill the fuel tank with correct fuel and pint of petrol would be diluted in diesel by large and you are safe to go. But if you already filled the tank to 100 per cent, there is no chance that this would happen. But you should keep in mind that dilution is not a solution, it always comes with a risk of damaging your car. So you must not attempt it as your first choice to resolve the issue. In the process of dilution, petrol in diesel is specified because it is what usually happens at the fuel stations, another way around is relatively hard to practice. The reason is the design and size of the petrol nozzles. Petrol nozzles fit easily into diesel cars but diesel nozzles don’t. They have larger outlet point which can’t be fit in the petrol tank. Naturally where this problem is common and several businesses and individuals have developed the solutions for these issues. They have tried to design the Misfueling protection devices. These devices seem to be booming in the market. Some automakers are fitting Misfueling devices to their vehicle at the time they manufacture them. Some of the devices are available on the market. You must ask your auto parts store about these devices. All of these devices are fairly simple and protect you from being misled at the fuel station. And most of them usually replace your standard filler cap on your fuel tank. Every device available on the market usually uses some kind of mechanism to prevent you from being misled. Most of them only open if your nozzle is of the right type. It if is narrow, or wide, the filler cap mechanism won’t allow an insertion. The Misfueling prevention devices are aimed at preventing drivers from filling wrong fuel into their vehicles as putting petrol in diesel is the most common and most dangerous combination. These devices usually cost under £50 and are meant to be actually usable when they protect you from paying thousands of pounds in repair. What if I still misfuel? If after all these precautions, you still faced a bad situation, and put petrol in your diesel hybrid car, do not panic at all. Simply follow our detailed guide to save you from going into the even worse situation. Do not start your engine or even switch your car ON, even do not unlock the car until wrong fuel assist services arrive. This is because some cars have fuel pumps which starts working when you switch your dashboard on and or even unlock your vehicle. This situation will pull the fuel into the fuel system. If you have already started your engine and realise the situation, just turn it off as soon as possible. Call the breakdown service and Misfueling specialists to drain out the wrong fuel. In case if your fuel station asks you to move your vehicle out of the station, try doing it by pushing with the help of few people. It is just a matter of finding the correct solution and resolve the problem before it gets worse. What Tires Should I Get for My Motorbike?